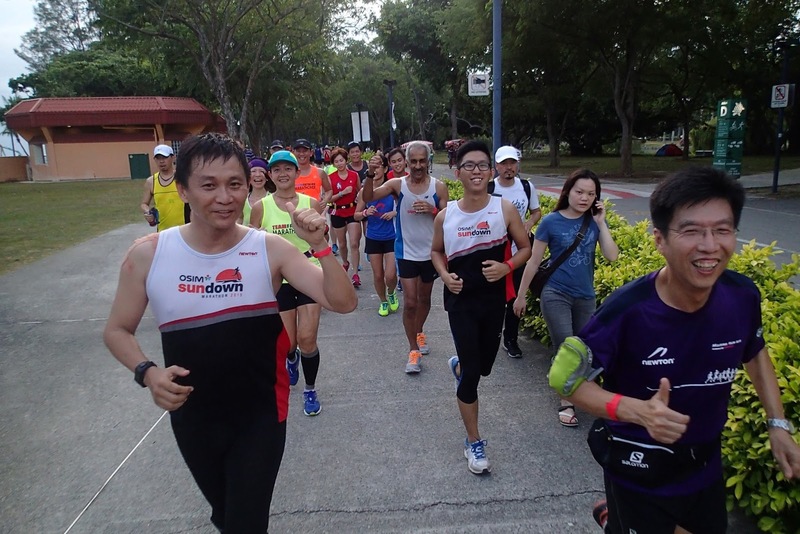 After last weekend’s kickoff of the Sundown training program at ECP, this week we had the NightHawks and Sundown Pacers move to the Western Hills area for some strength and base buildup. 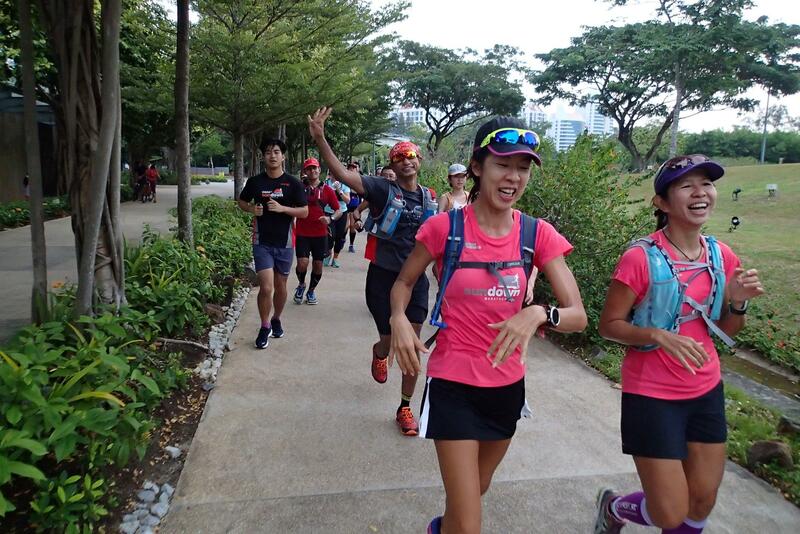 They were joined by the Falcons who were already into their 8th week of training (Marathon Pace now) attempting 18km and 30km of rolling hills and repeats. 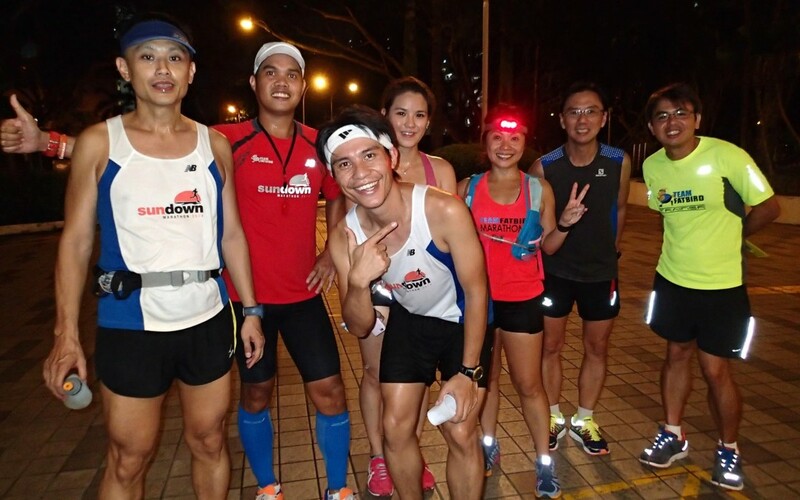 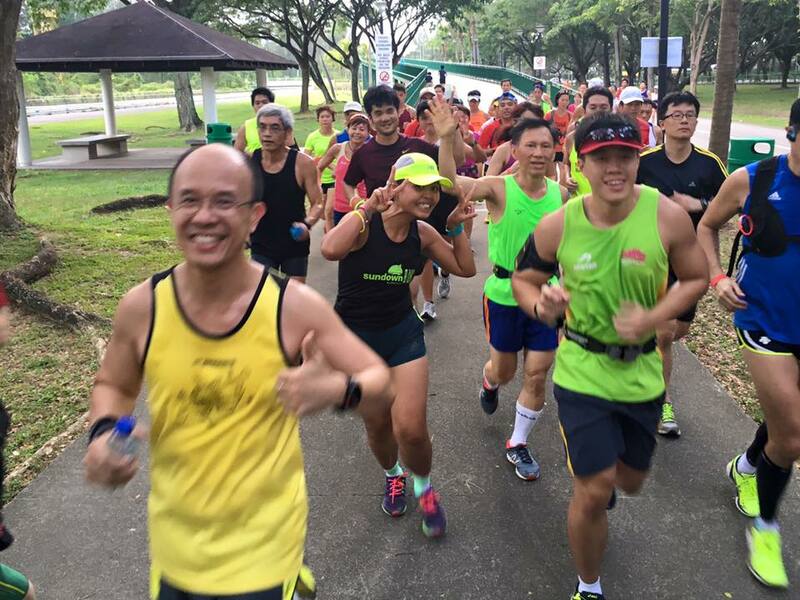 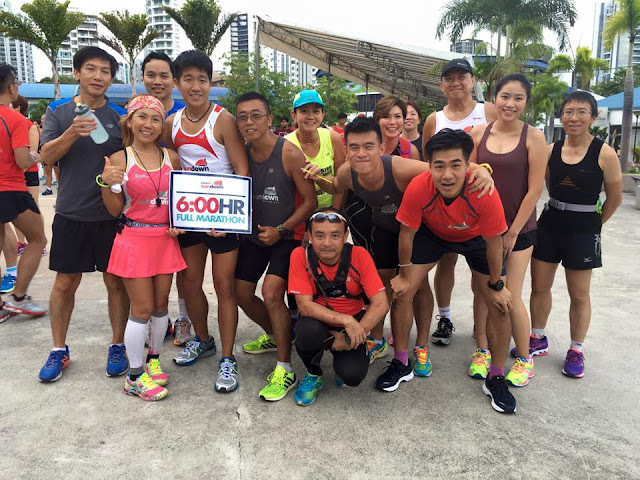 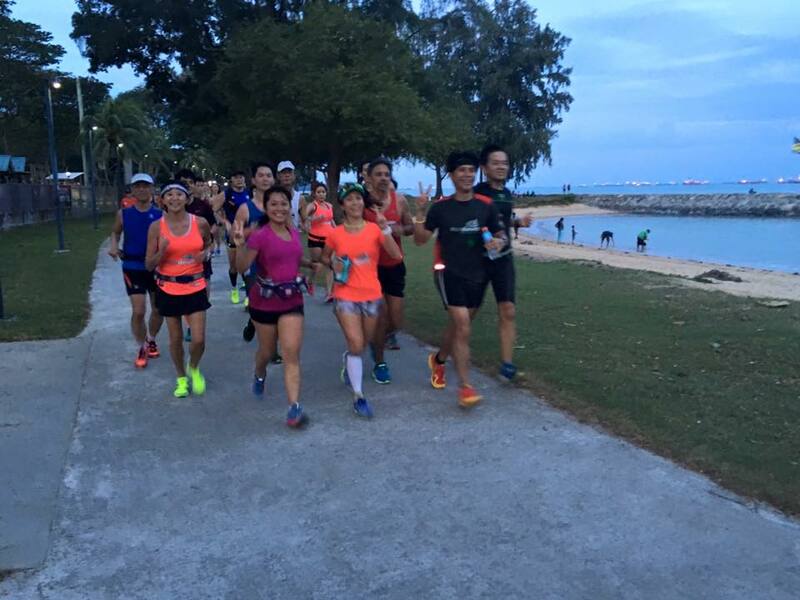 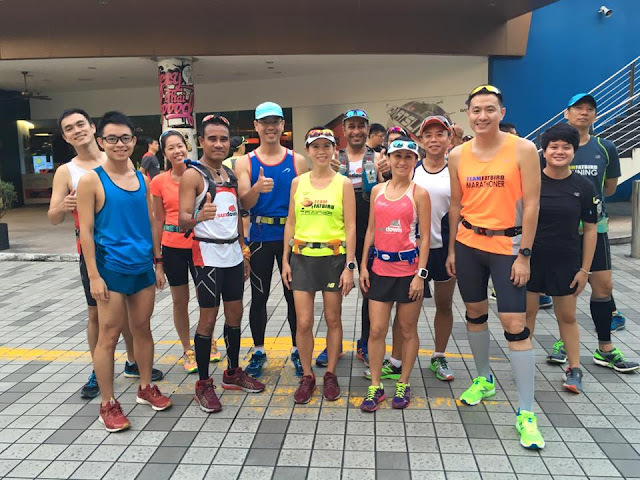 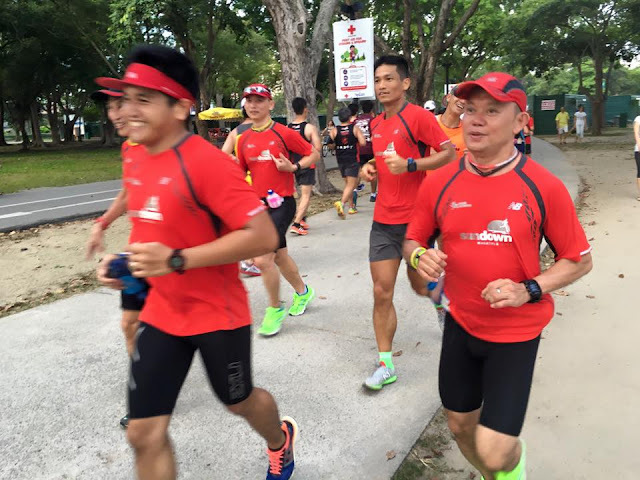 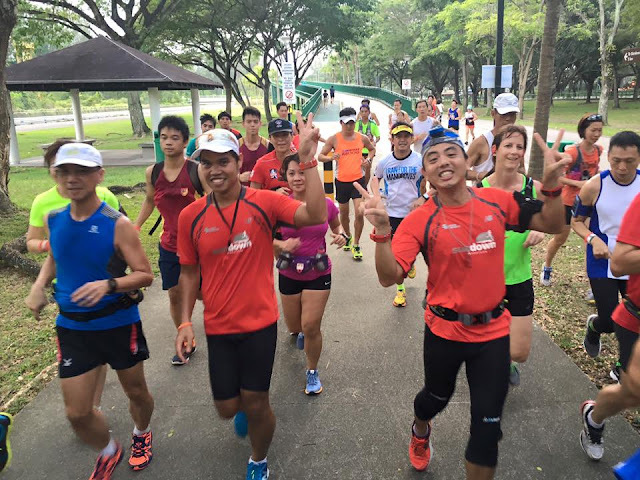 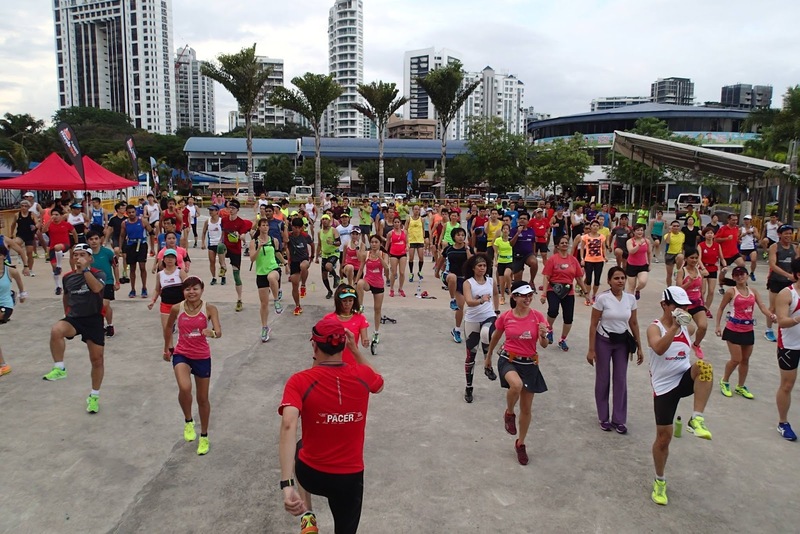 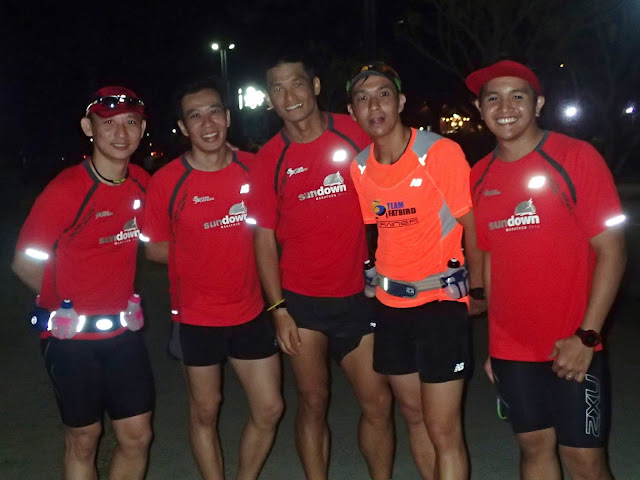 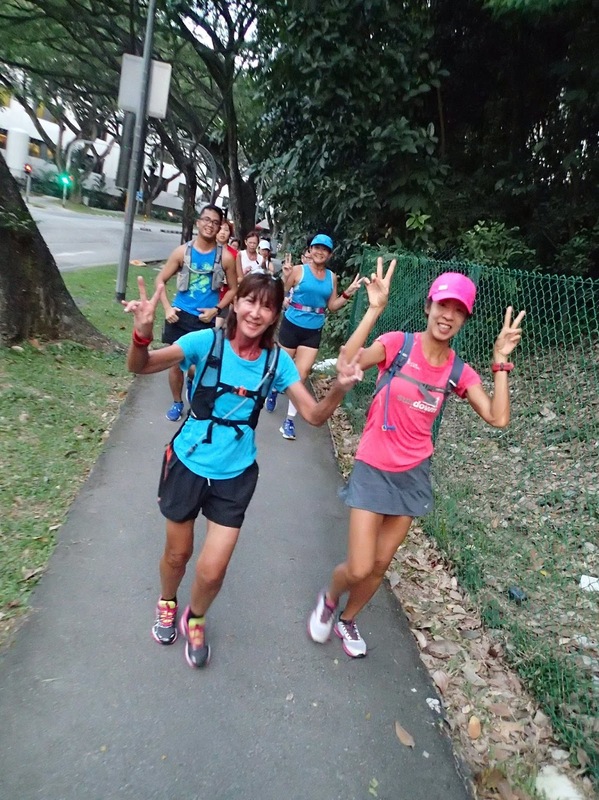 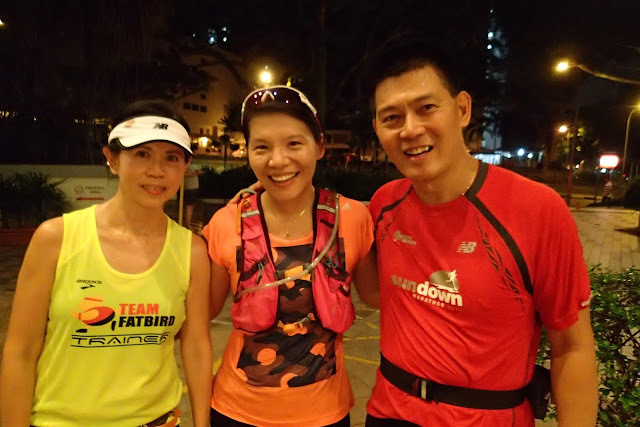 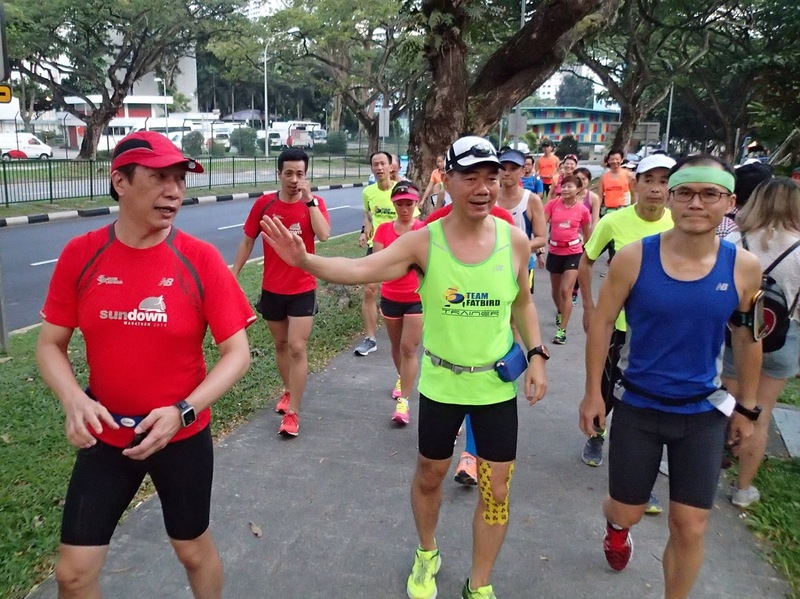 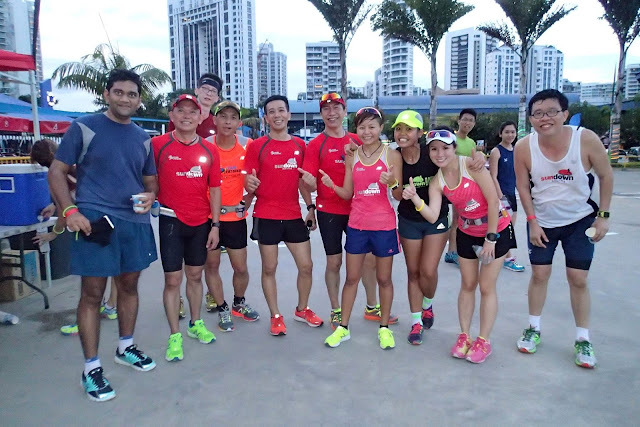 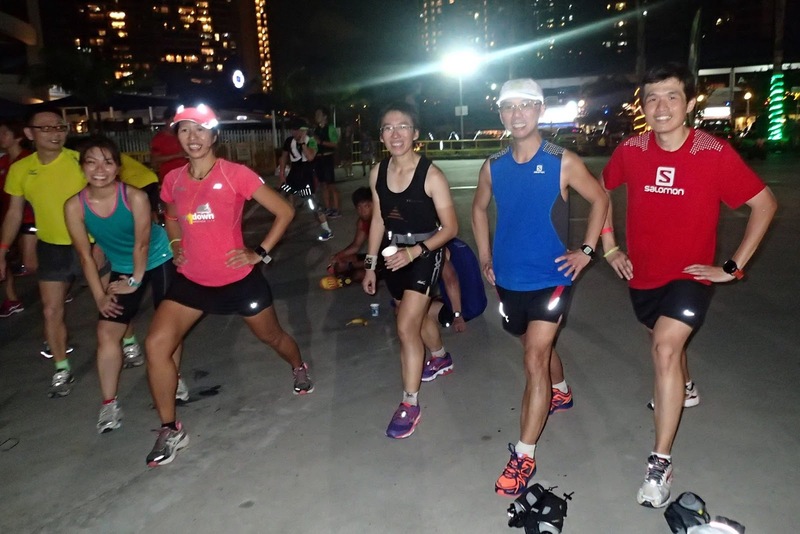 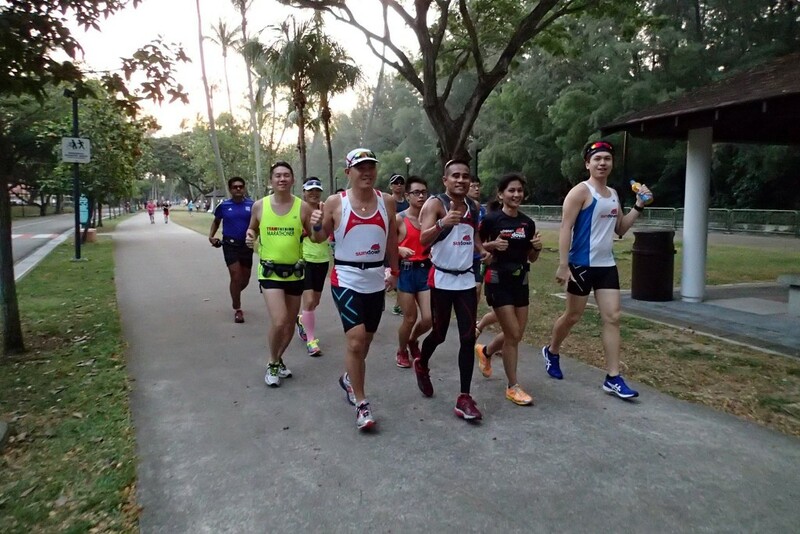 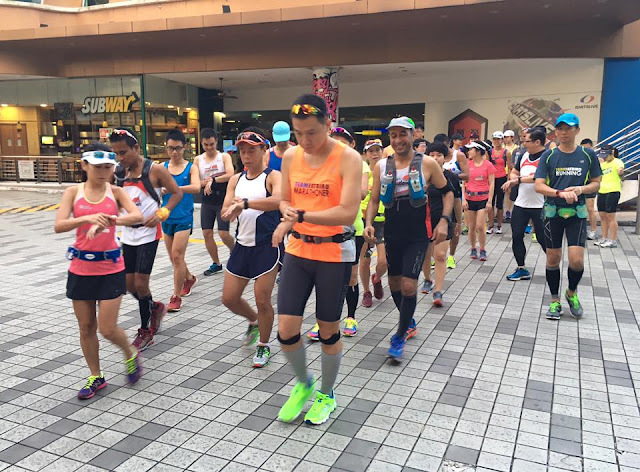 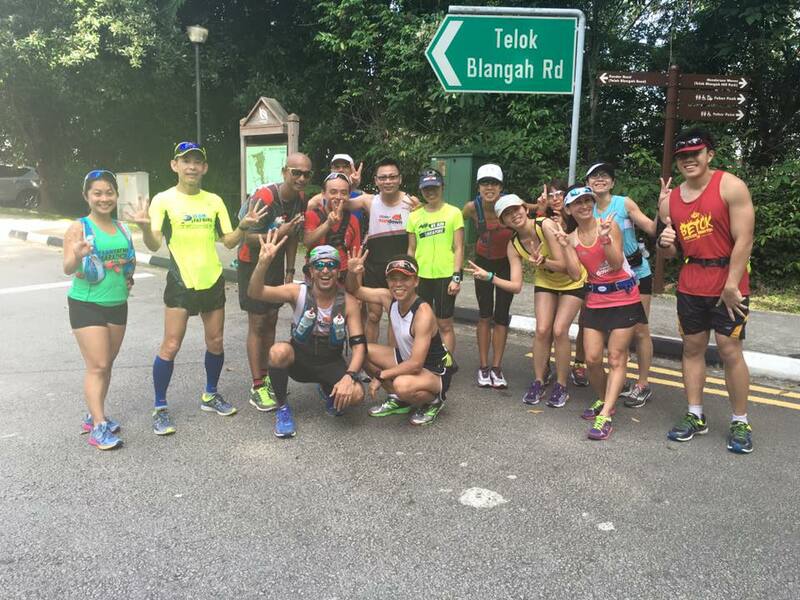 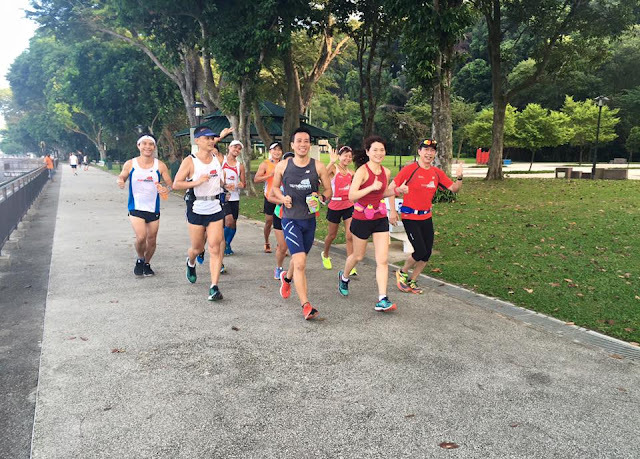 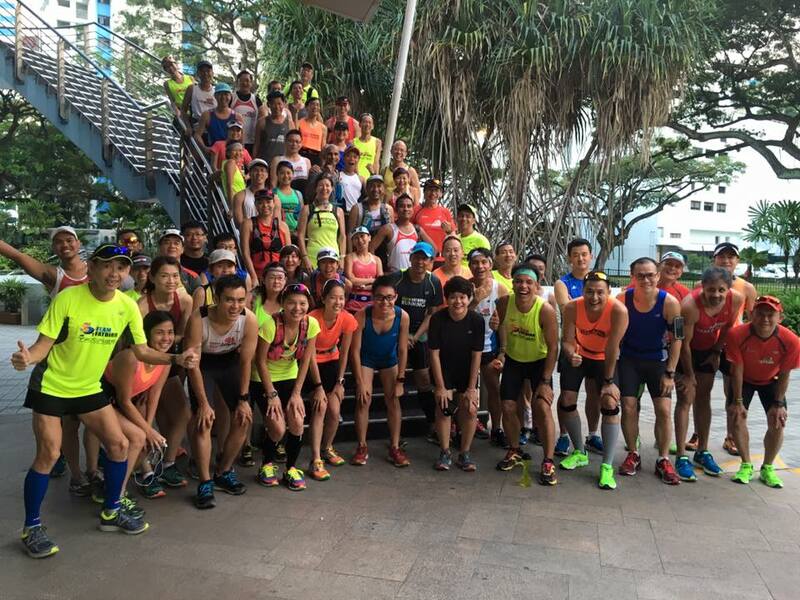 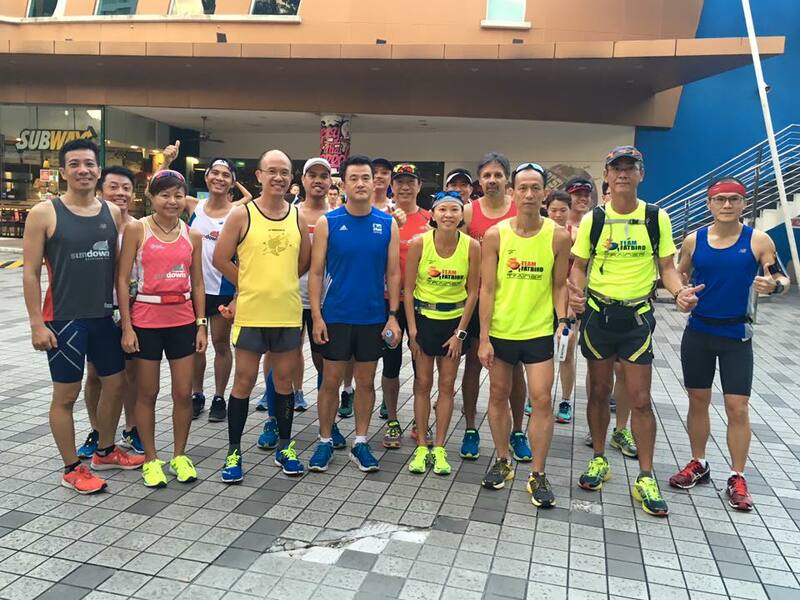 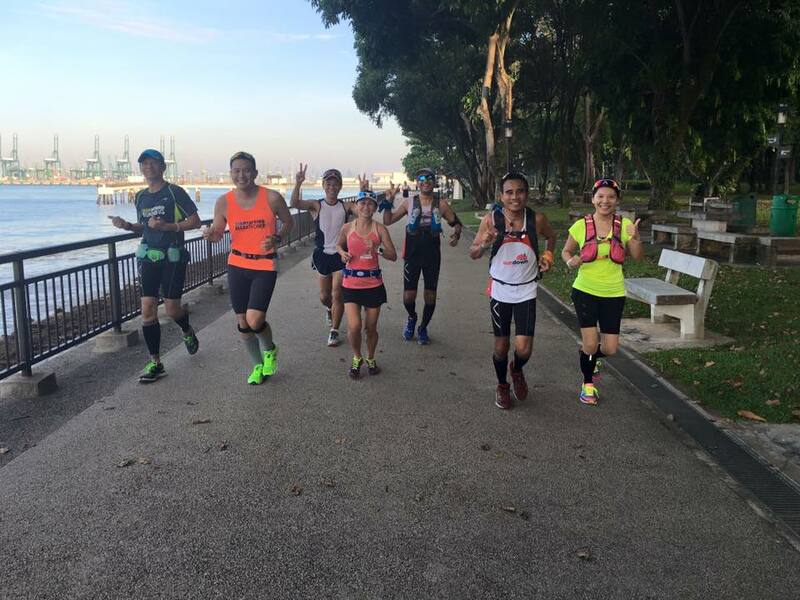 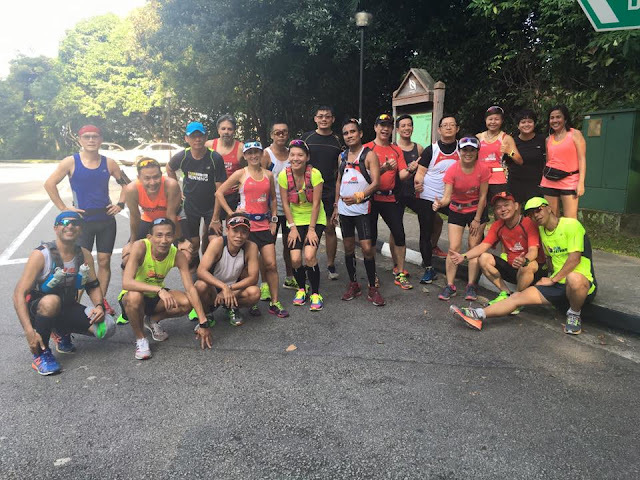 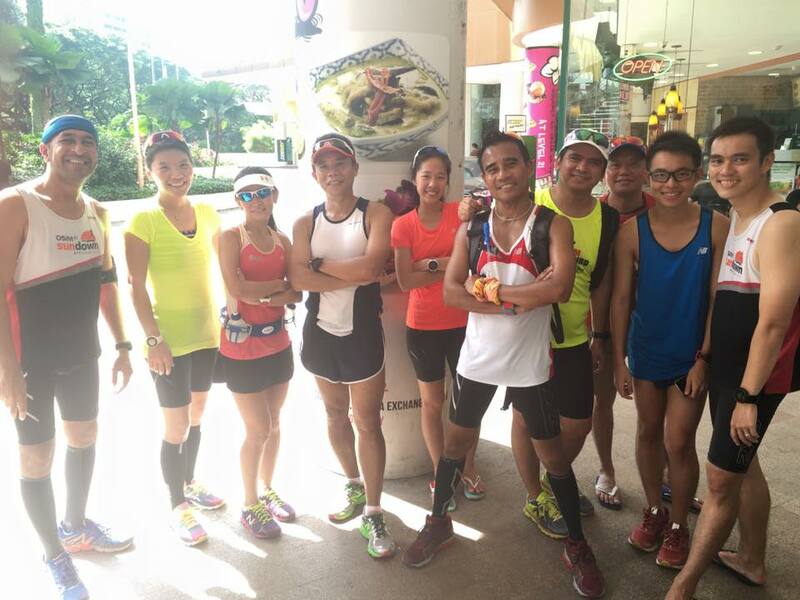 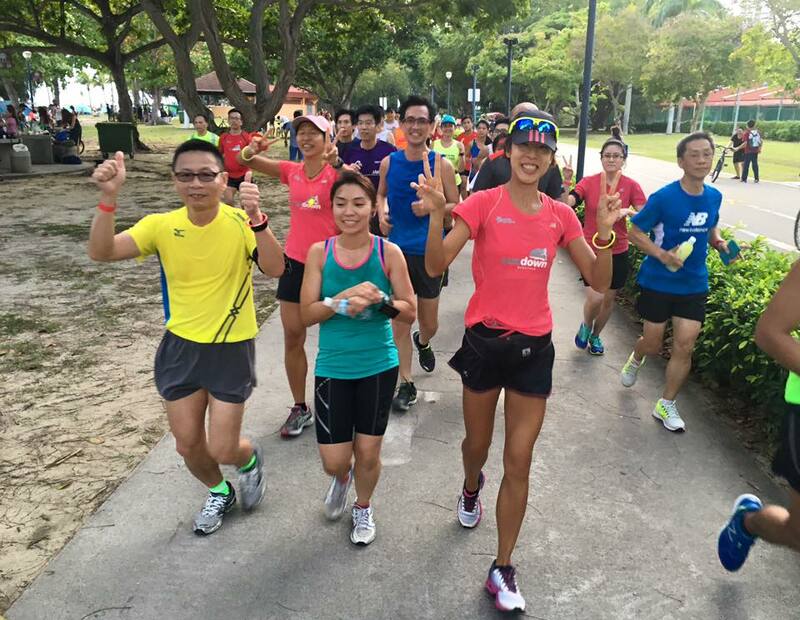 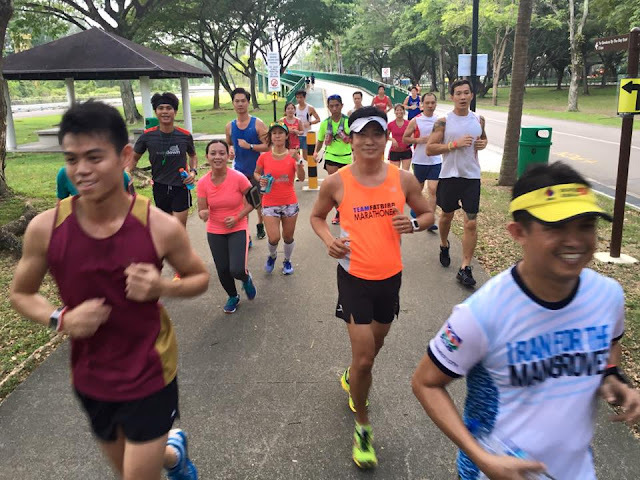 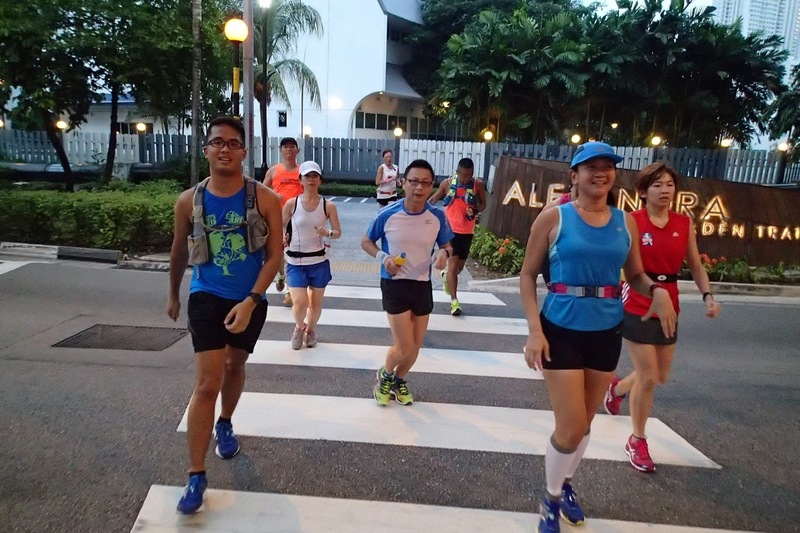 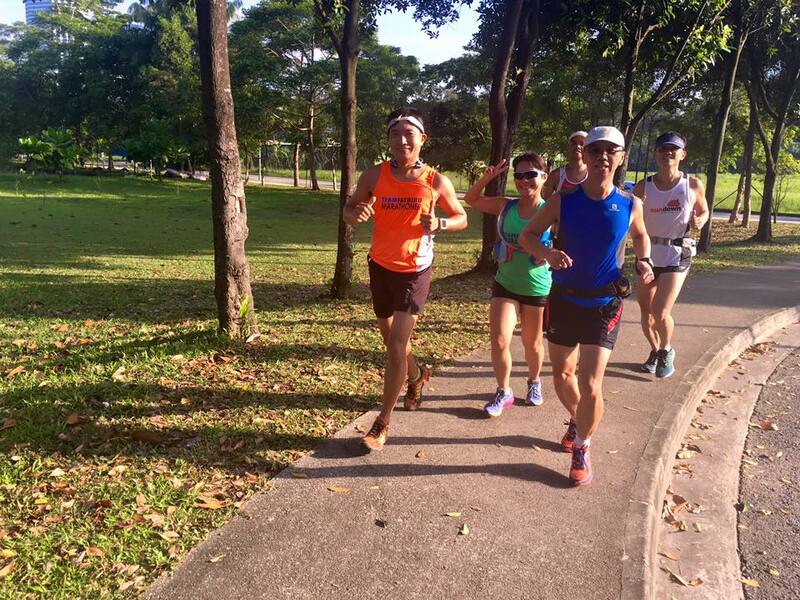 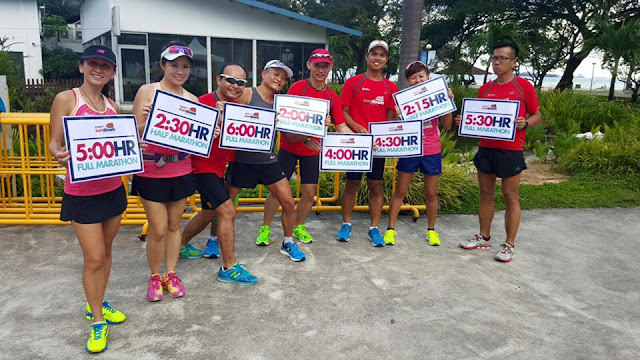 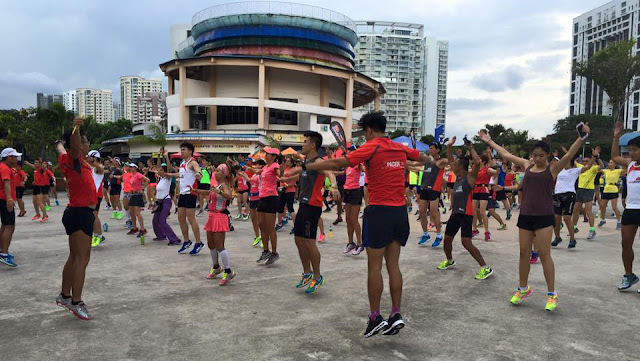 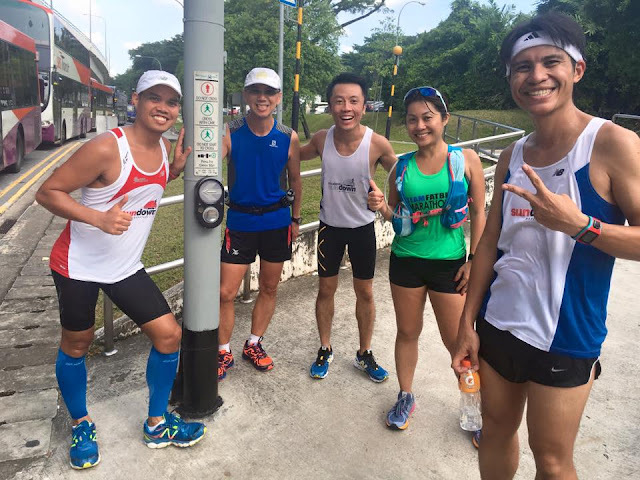 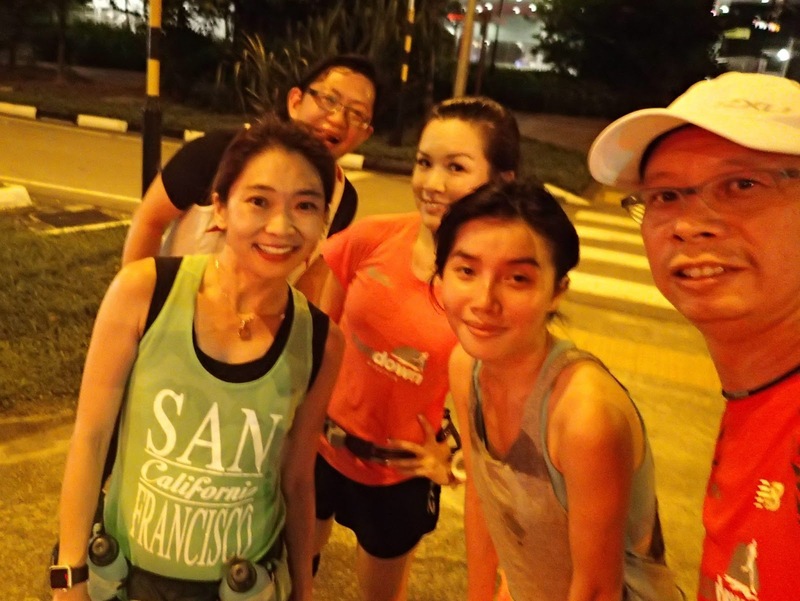 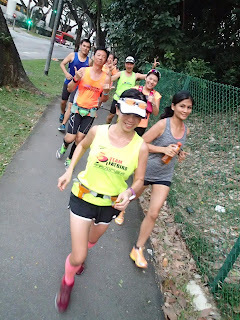 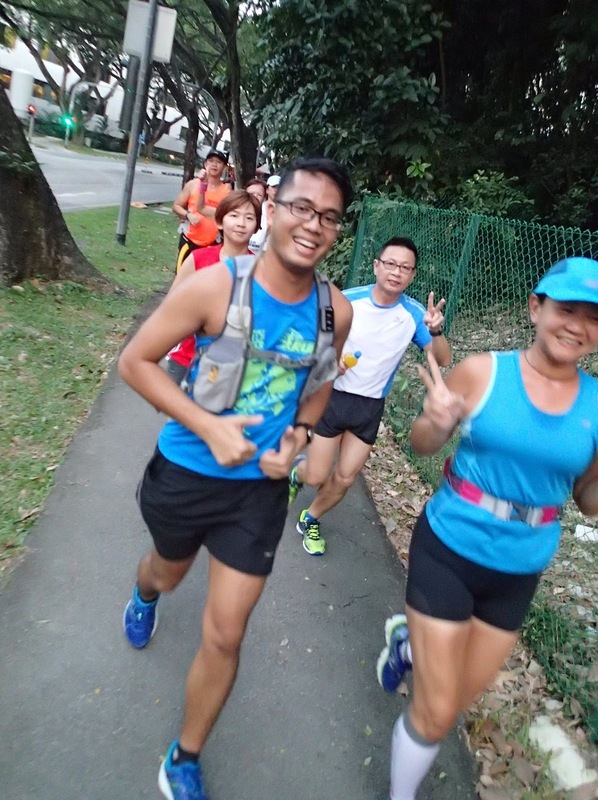 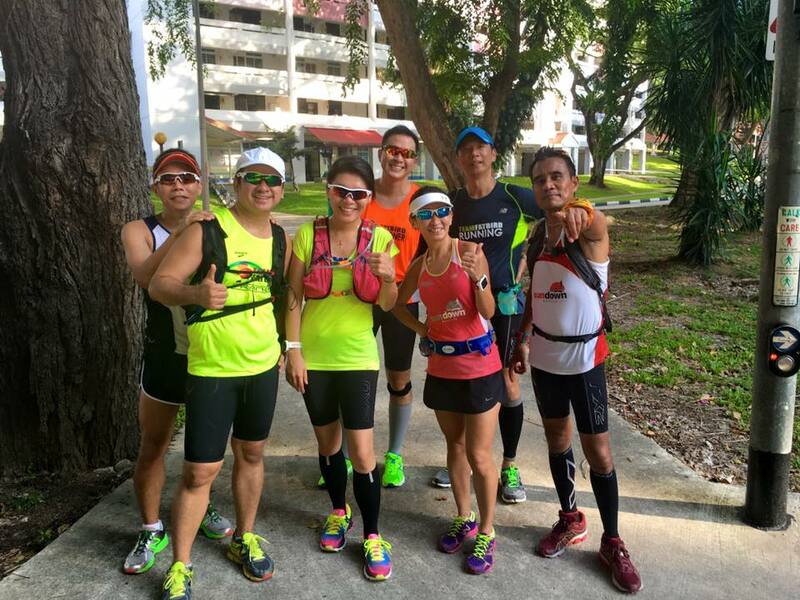 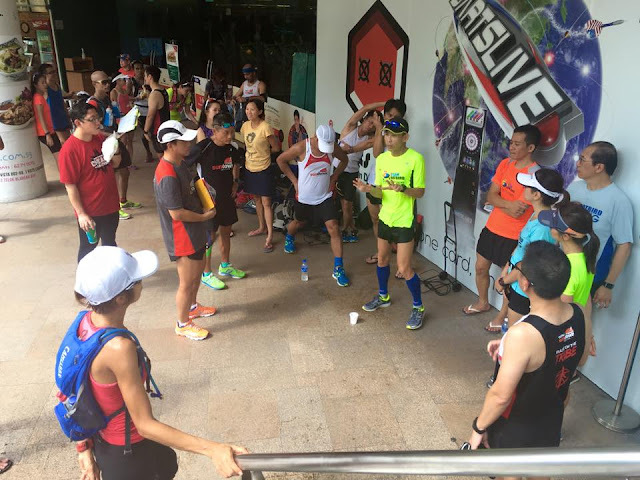 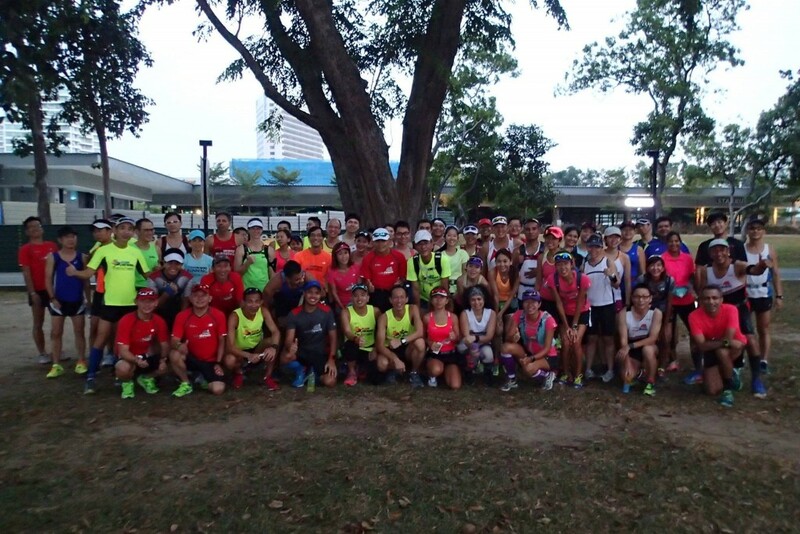 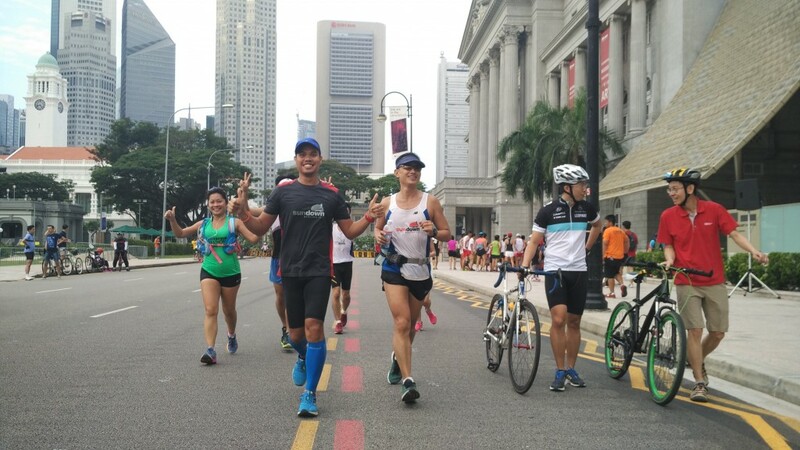 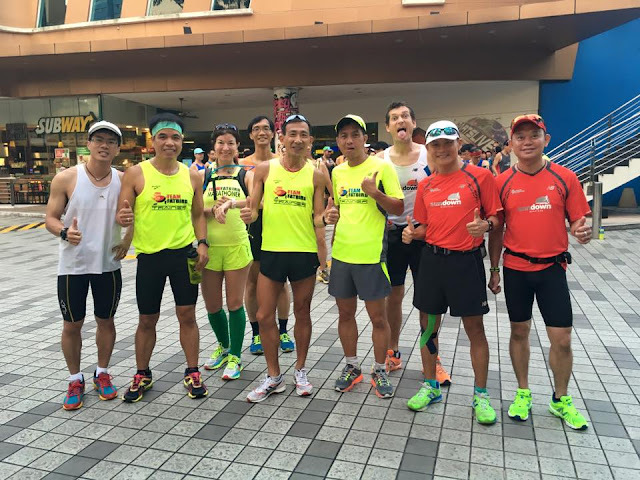 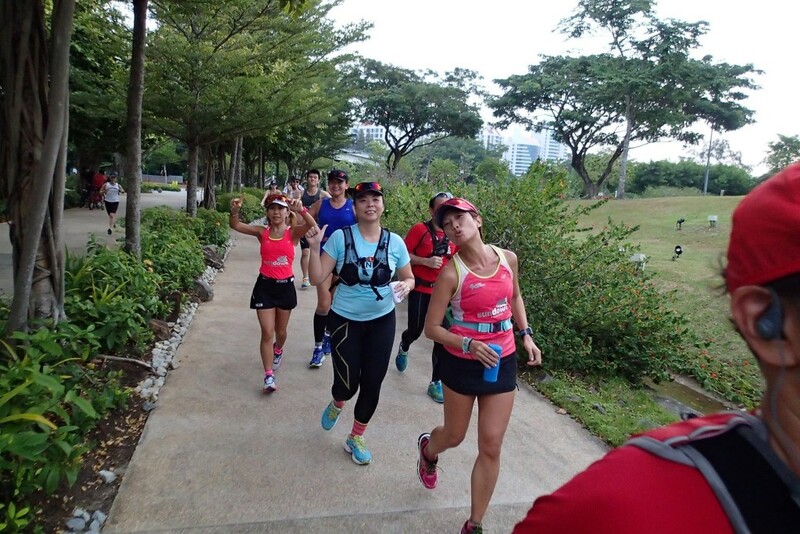 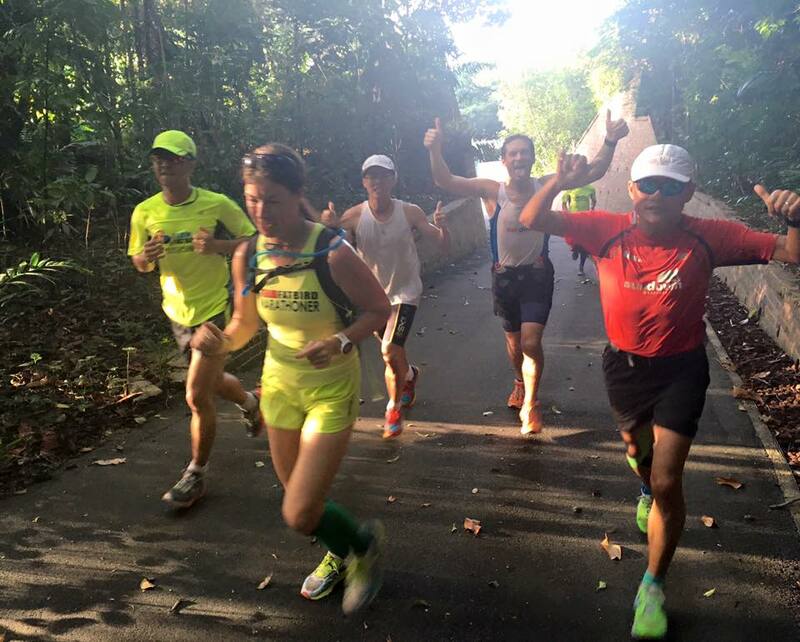 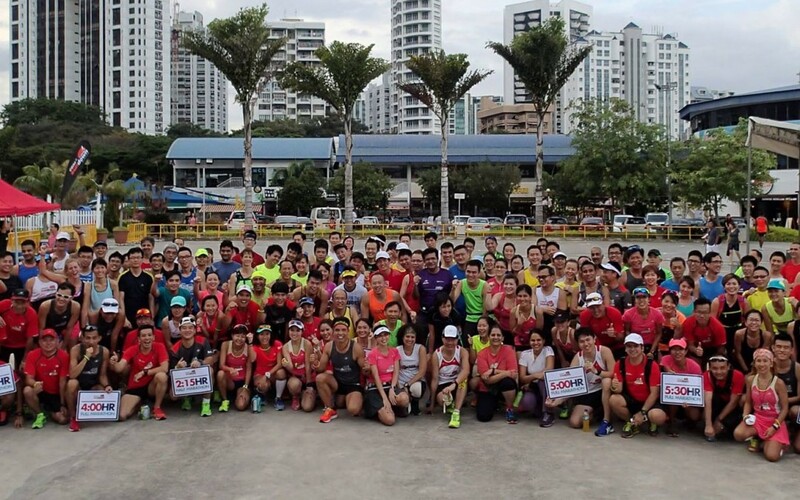 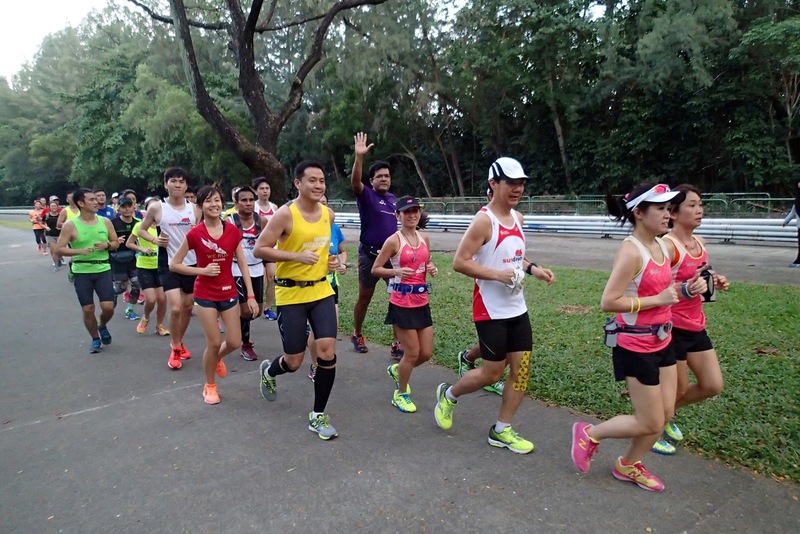 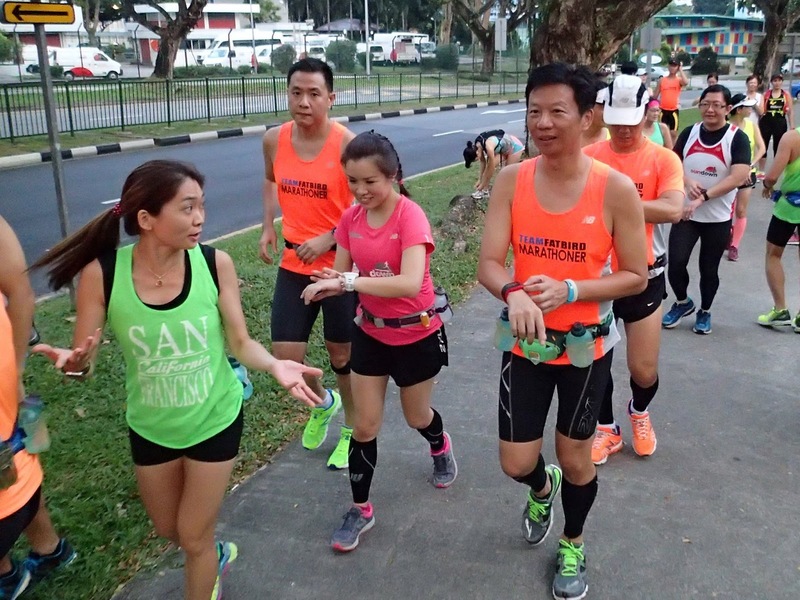 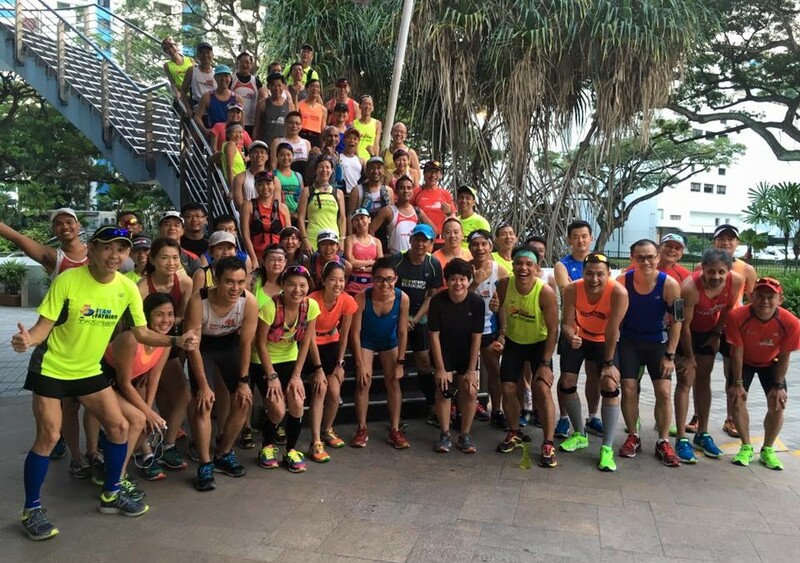 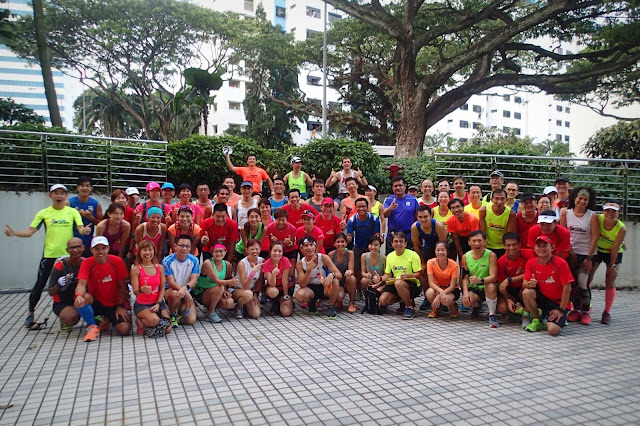 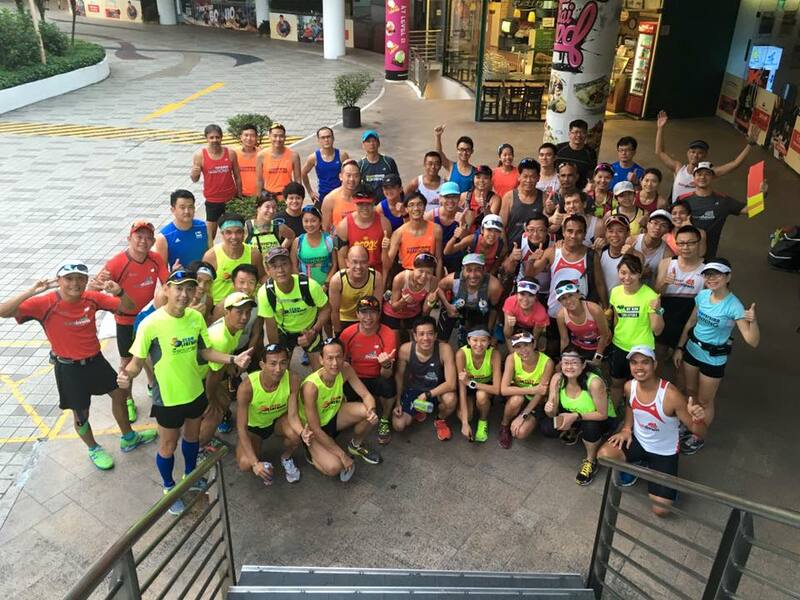 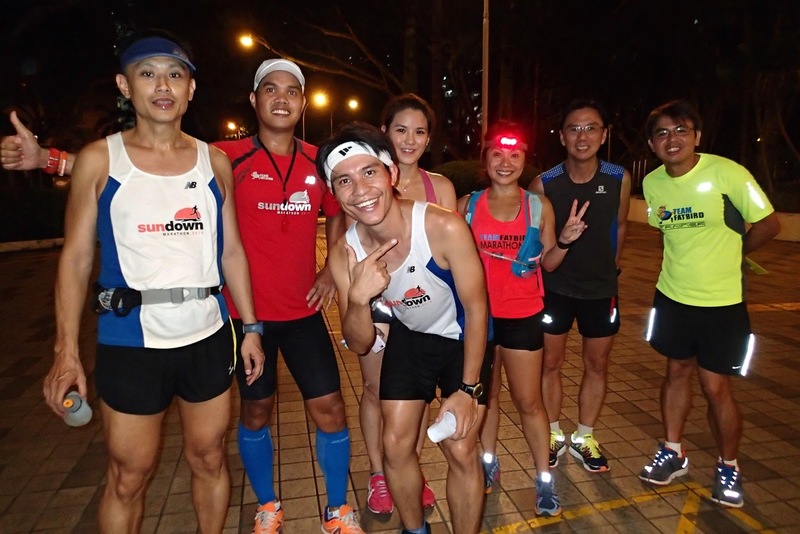 The training started in fine weather after a briefing of the training objectives, with the respective groups of trainees and Pacers proceeding to Labrador Park for their first set of hills repeats with the 2.2km Figure-8 route. 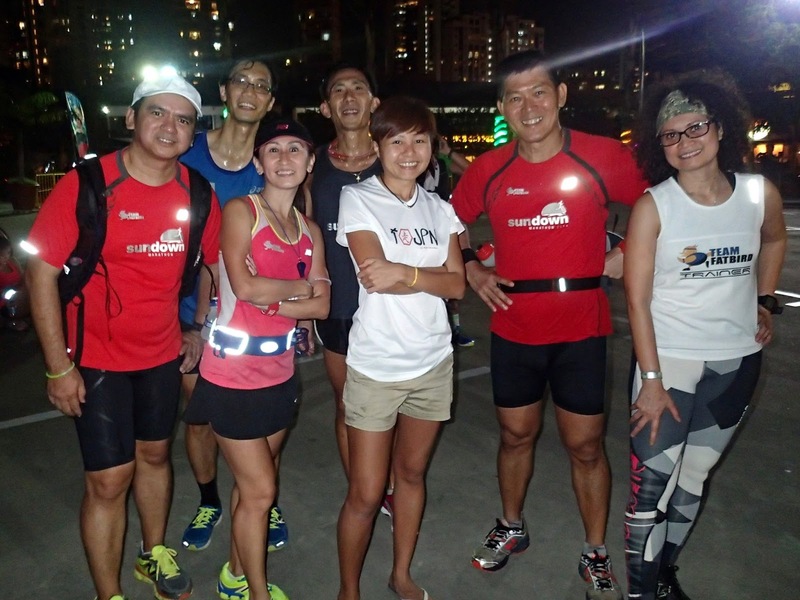 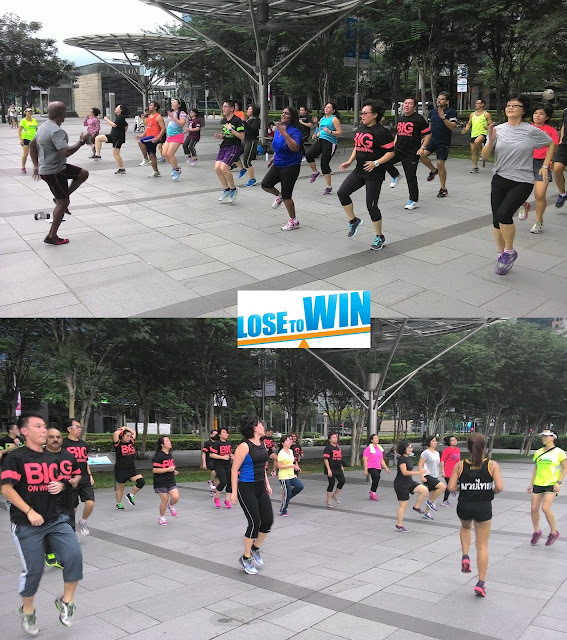 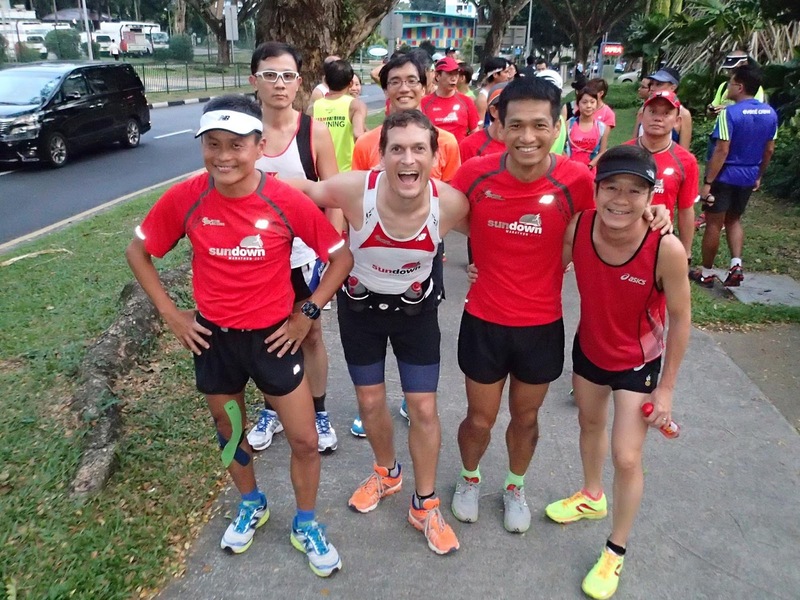 For a number of new trainees, this was an eye opener as they chugged up the slopes of Labrador Park. The other trainees who have trained there before were pacing well and moderating their effort and fuel for a sustained workout. The spirits ran high as usual with all the groups working hard as united teams, and each time they pass fellow FatBirds, they would give the thumbs up and cheer for one another. 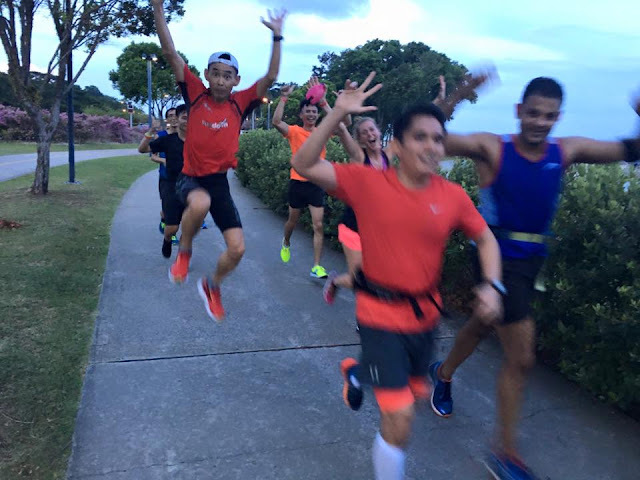 It is always so much fun and motivation to train as groups. 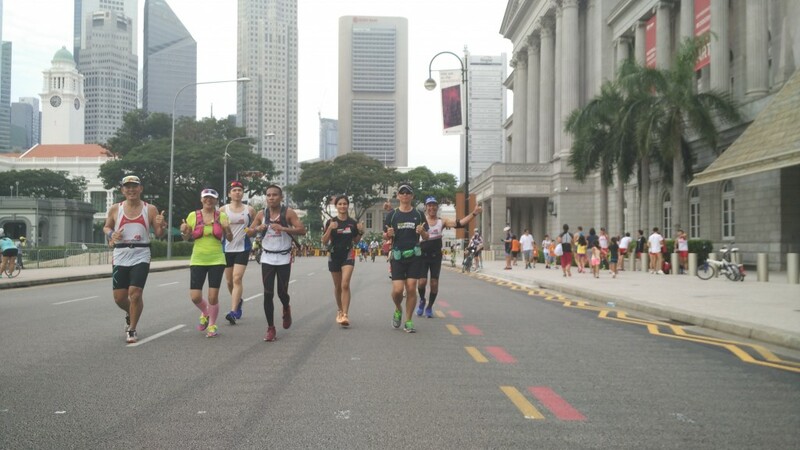 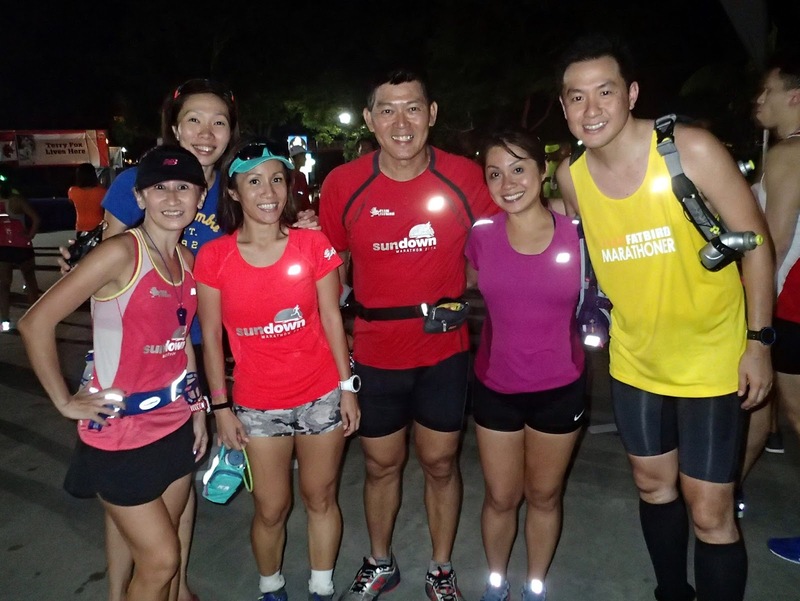 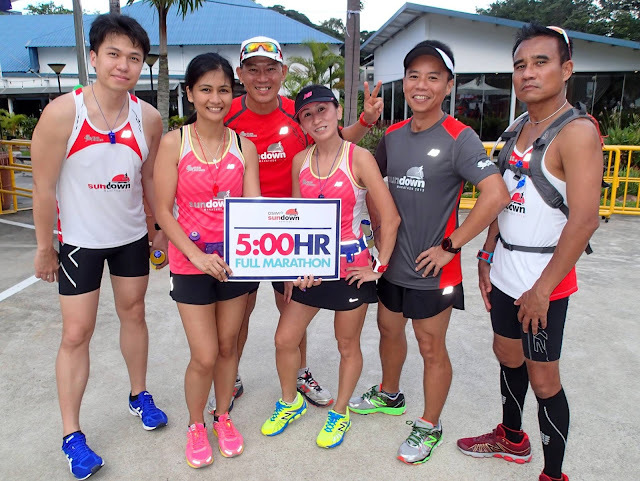 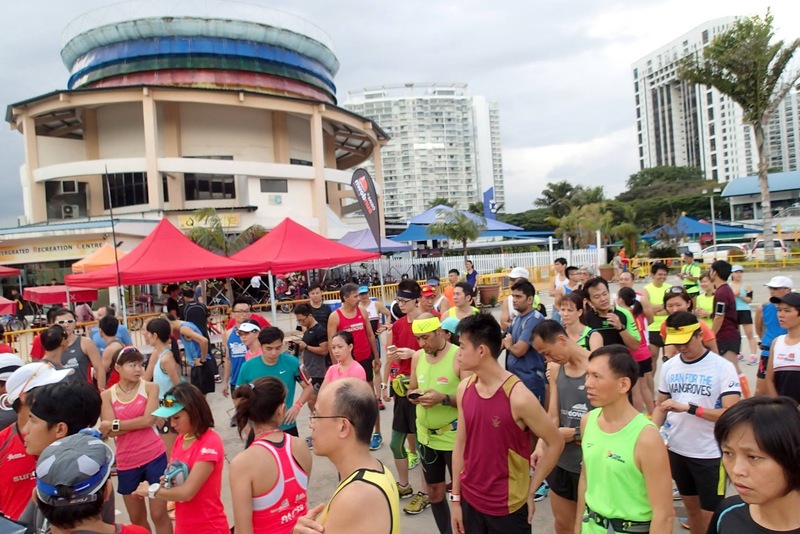 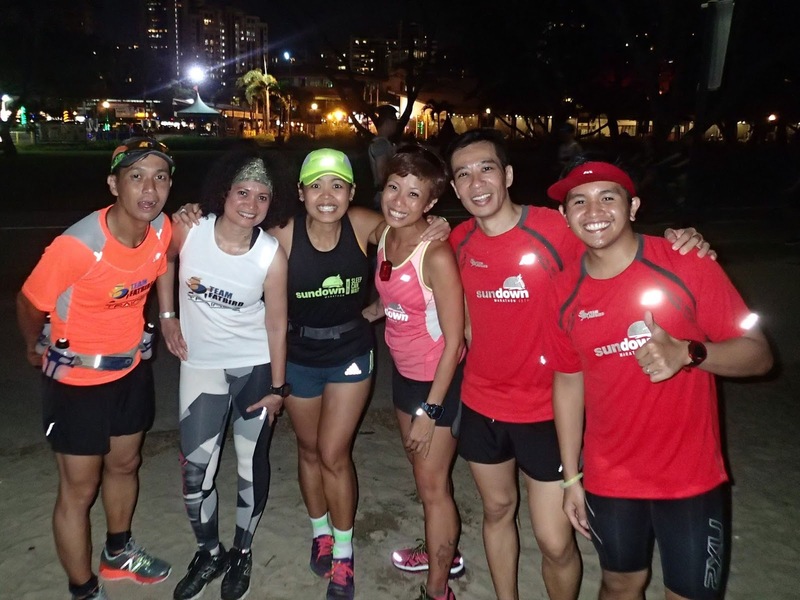 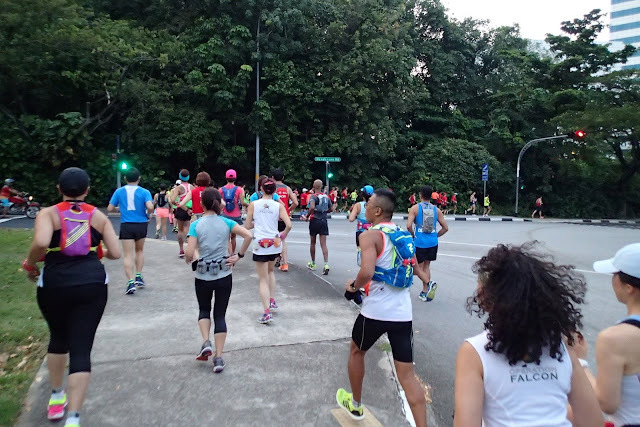 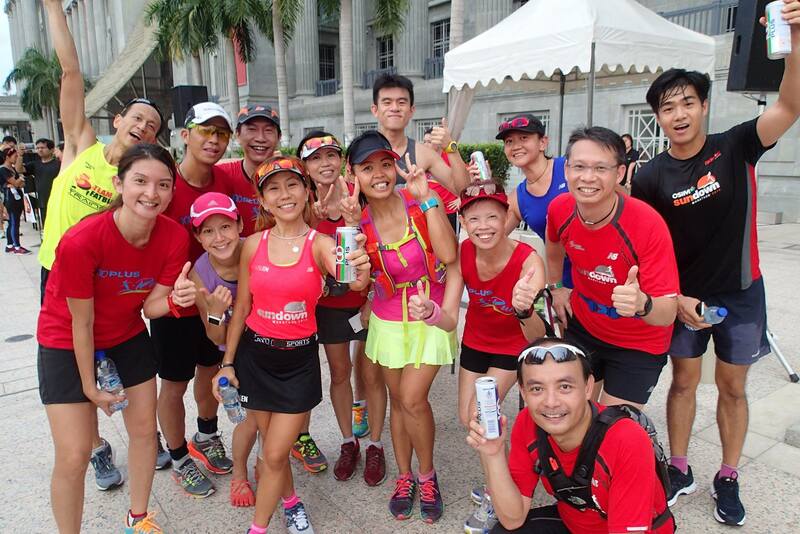 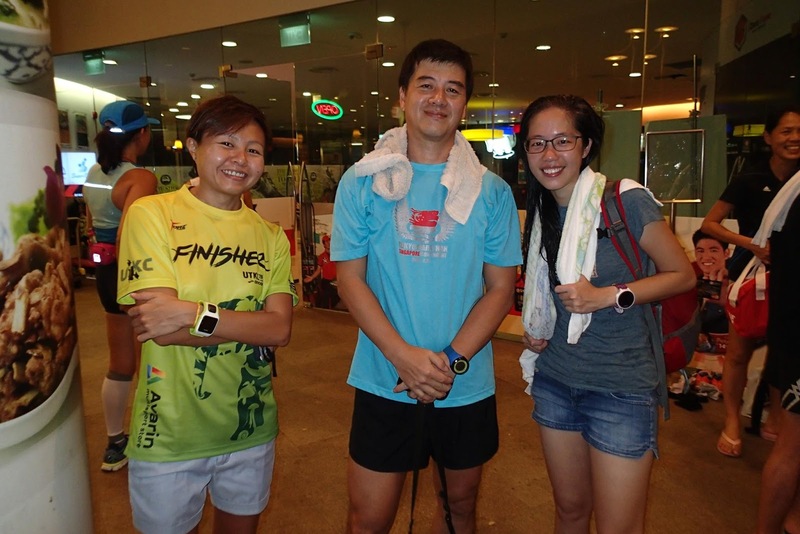 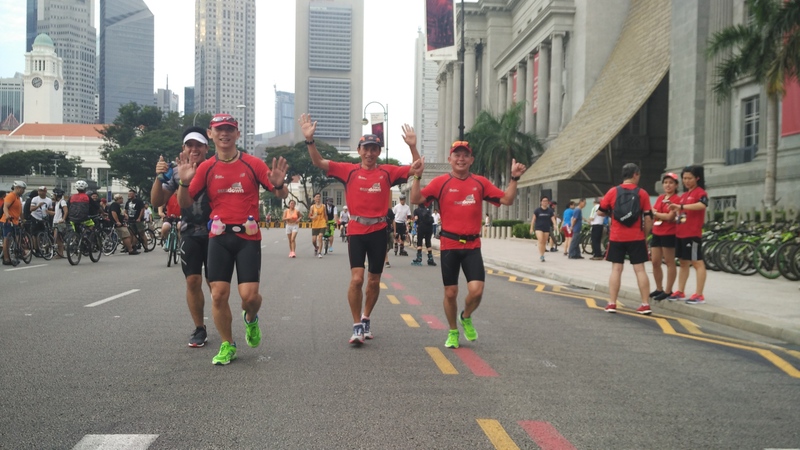 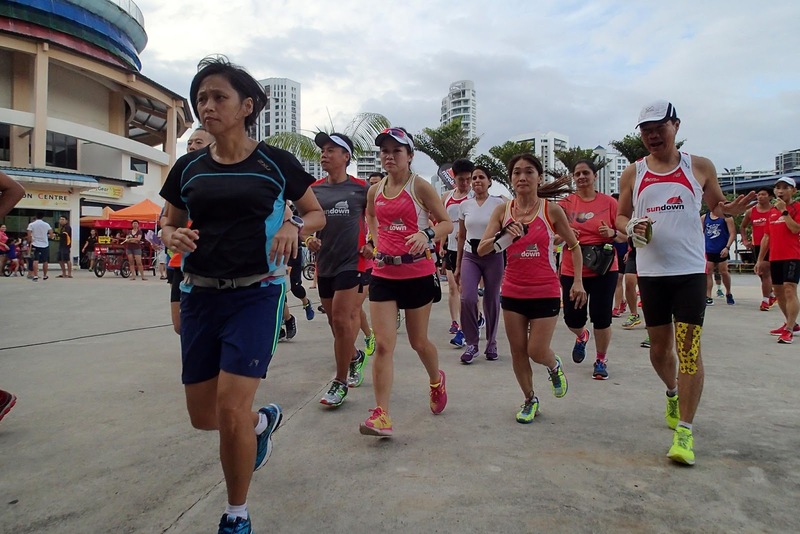 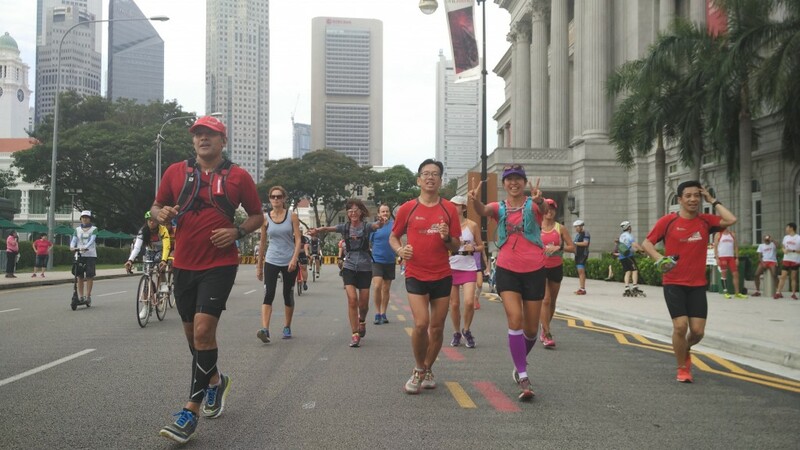 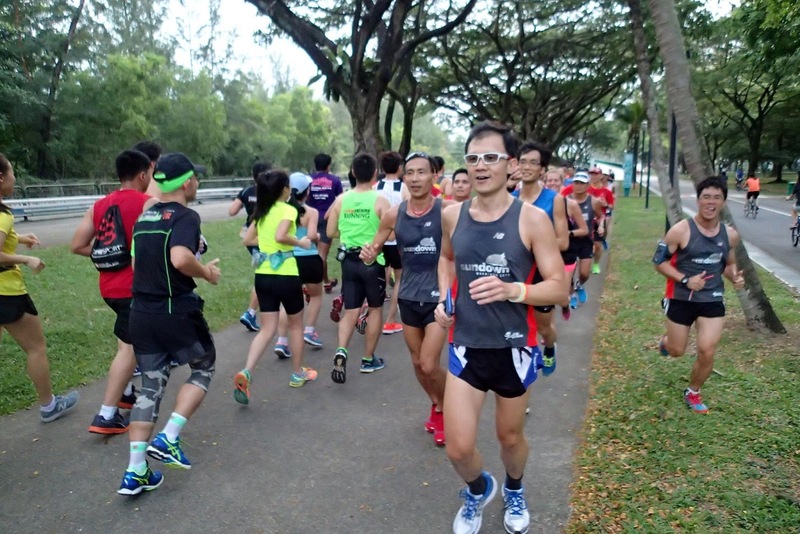 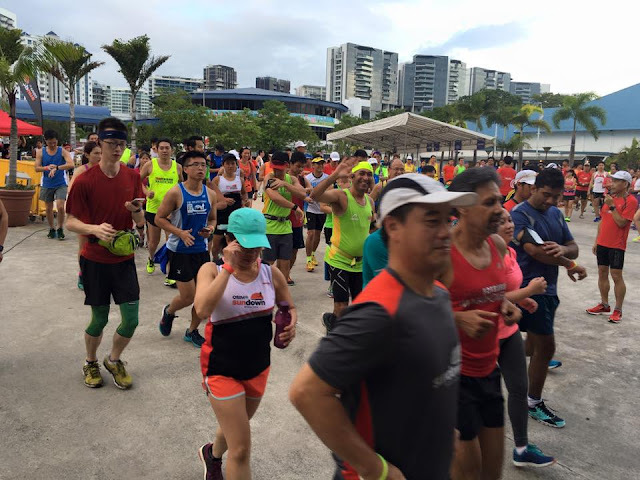 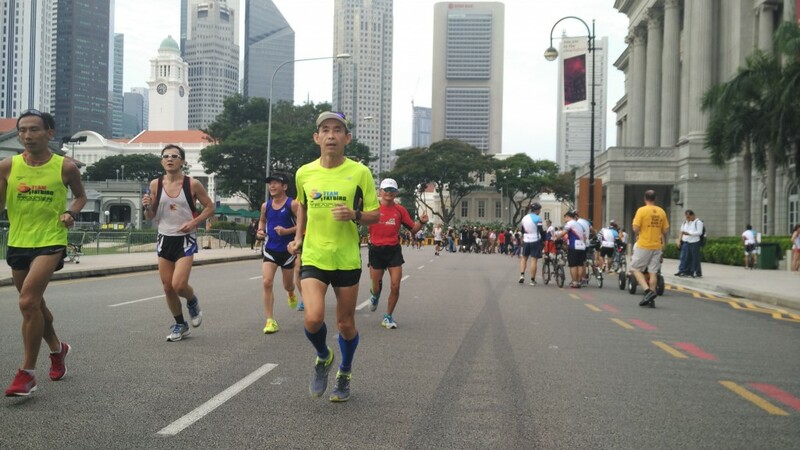 With the number of hill repeats varying among the different groups, the Half Marathoners exited Labrador Park after doing their requirements to proceed to the next hill objective, the 1.6km Mt. 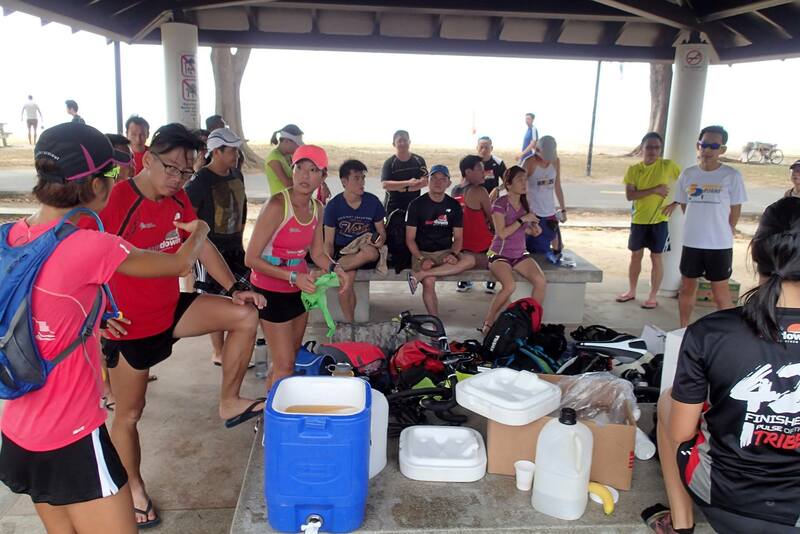 Faber loops. After an energy-sapping segment at Labrador Park, the long run-up provided another challenge to the NightHawks and Falcons as it drew more reserves from their tiring legs and bodies. 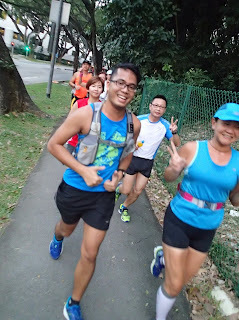 Once up to the Mt. Faber Car Park, they went for the required number of 1.6km loops of ups and downs the Jewel Cafe at the top, taking care to manage their paces and forms. 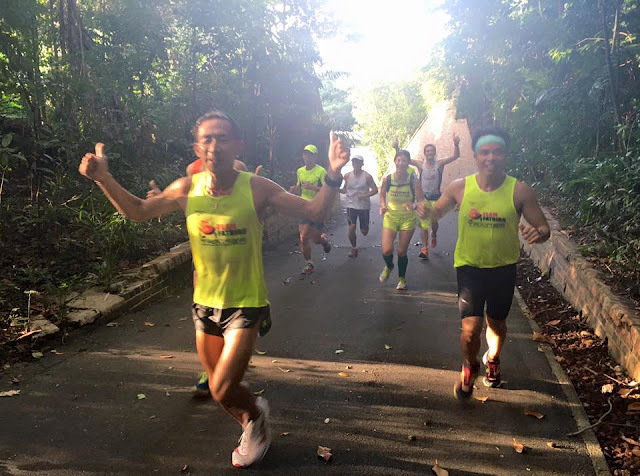 The trainees capitalized on their new-found knowledge of uphill and downhill running by practicing tips from the trainers and pacers. 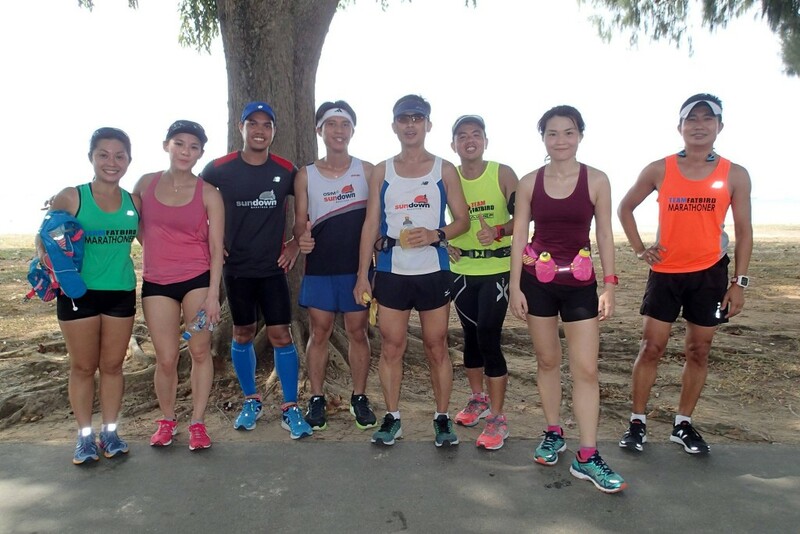 After a good 30min-60min at Mt. 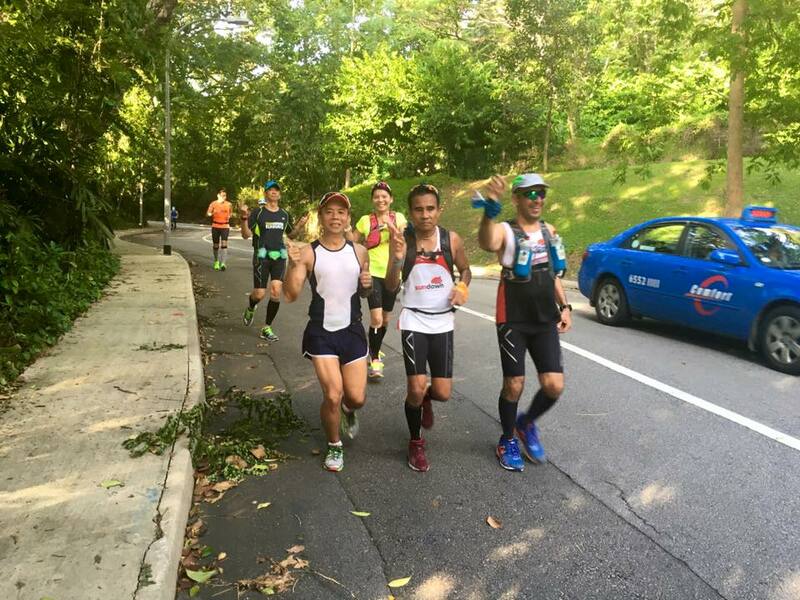 Faber, the second hills repeat challenge was completed much to the satisfaction of the trainers, before proceeding back to the SAFRA Mt. Faber ClubHouse with another 3-4km of rolling hills. 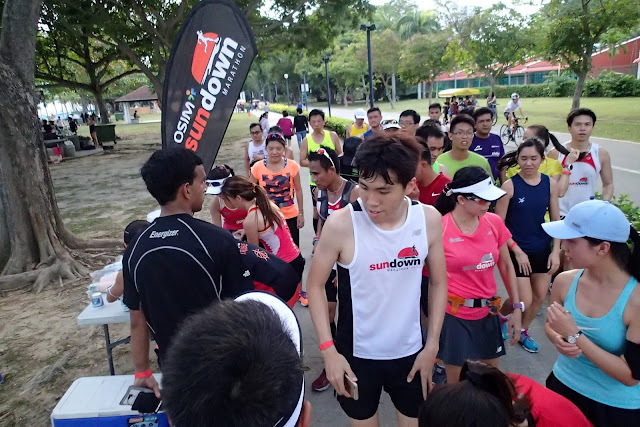 The heat from the sun was already bearing on the tired NightHawks and Falcons, but the determination to maintain pace allowed all the trainees to complete the morning’s 15km-30km in good shape. 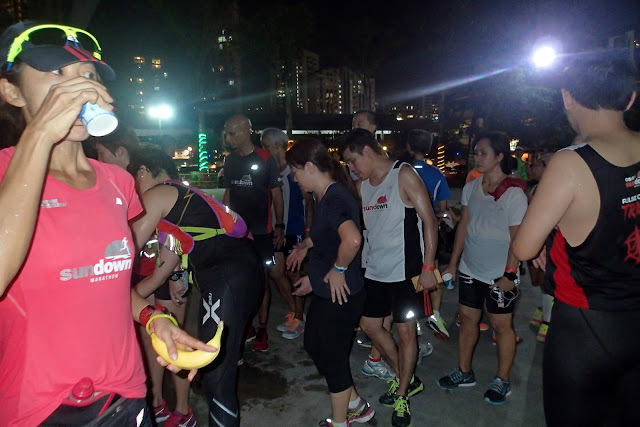 The isotonic drinks and bananas were welcomed refreshments at the finish point. 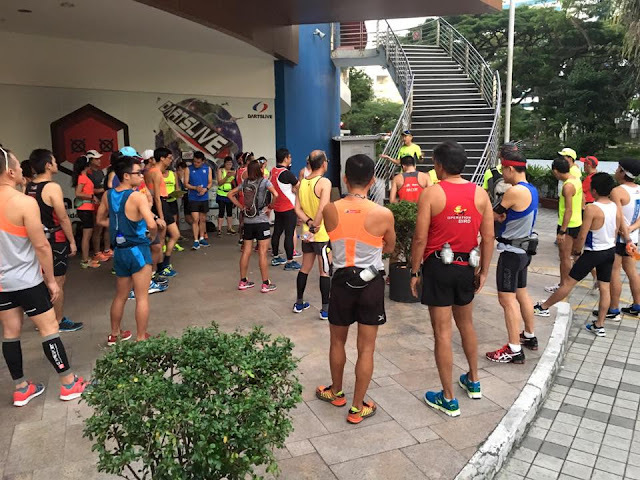 Pointers and tips were exchanged between the respective trainers and trainees, mostly about running form and injury prevention. 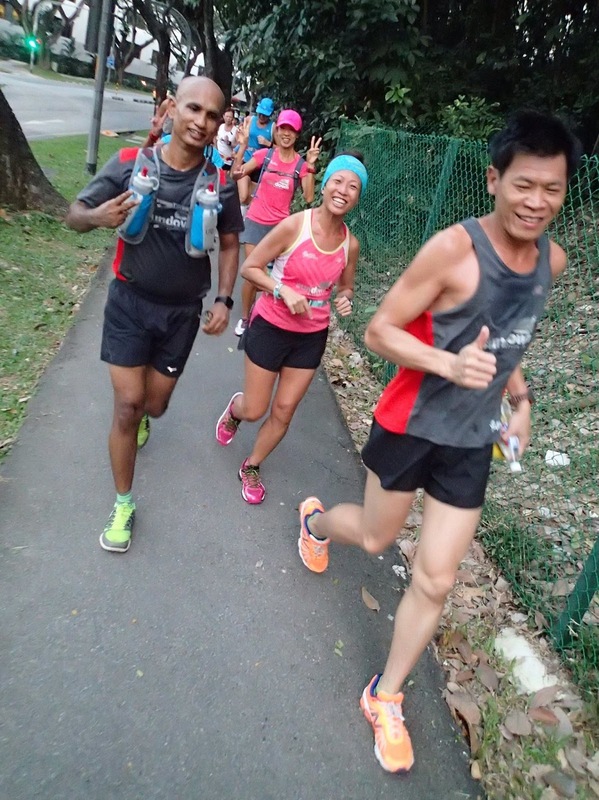 The training session went very well in spite of the challenging terrain and weather conditions. 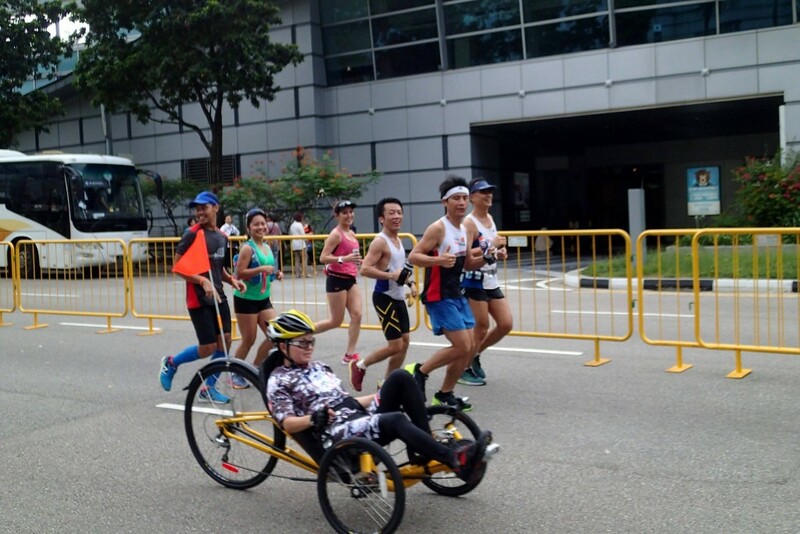 As they often say, “What does not kill you, can make you stronger”. 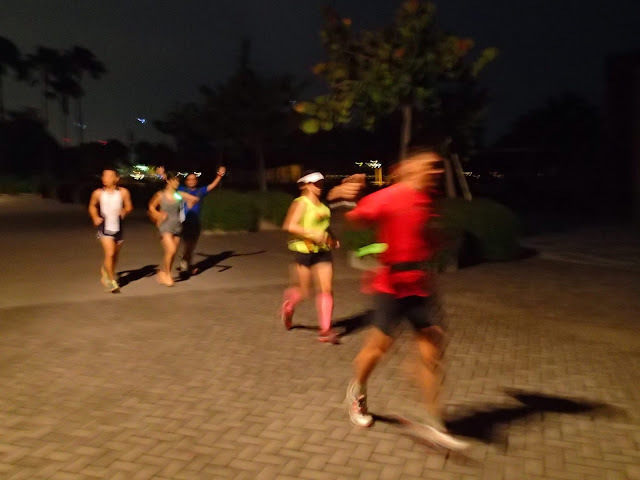 We are looking forward to Week #3 for Ops NightHawk where we will be doing night training by the waterside of Keppel Marina and Labrador Park. 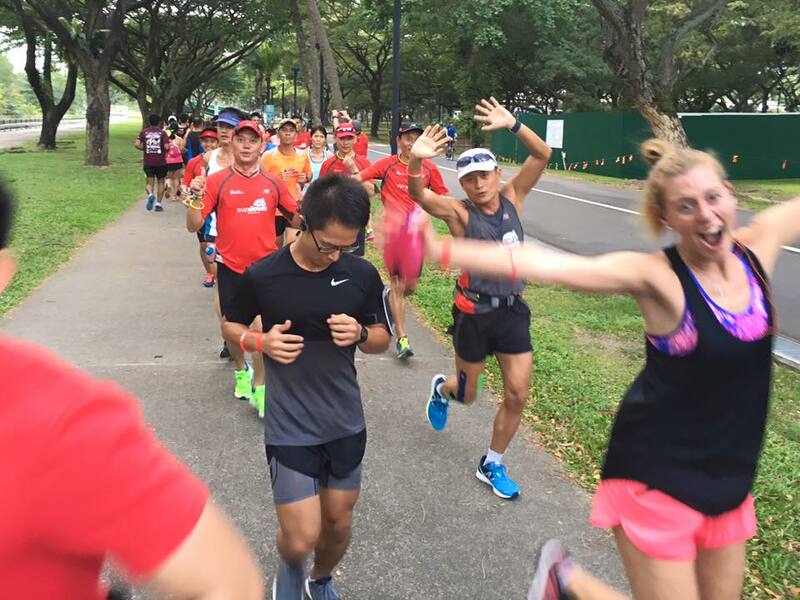 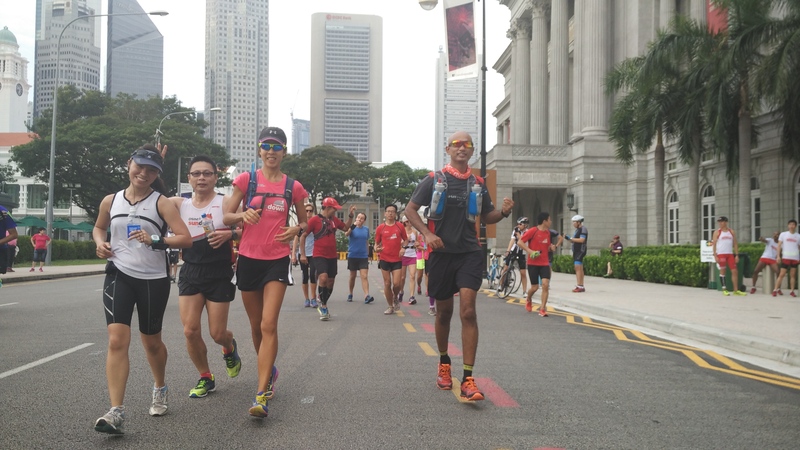 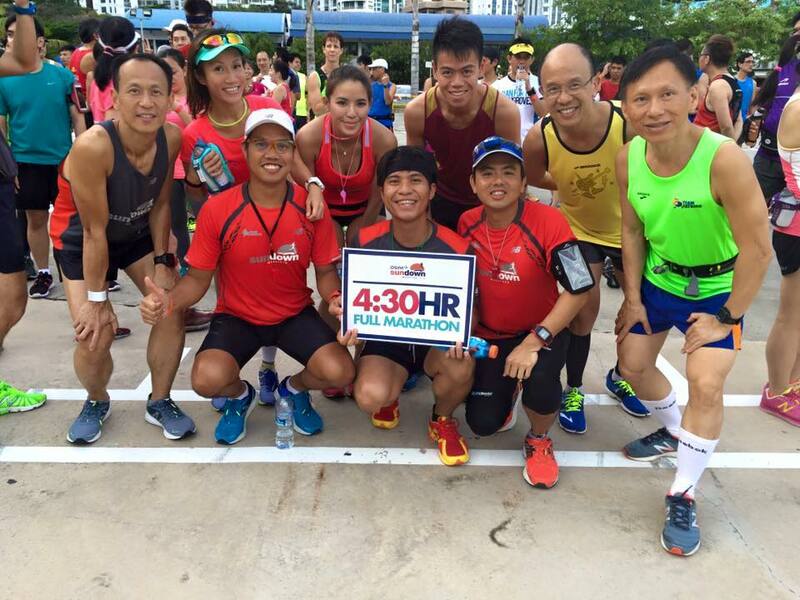 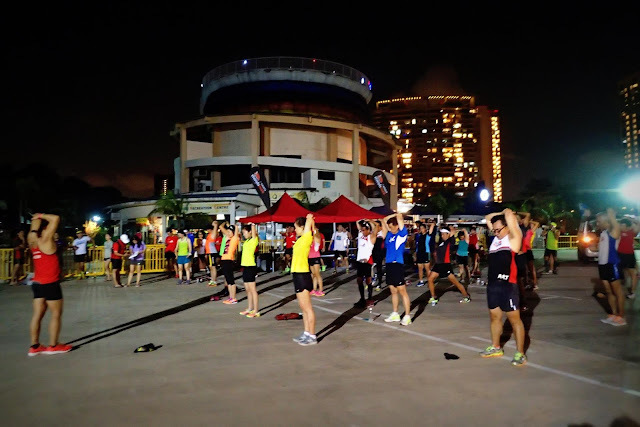 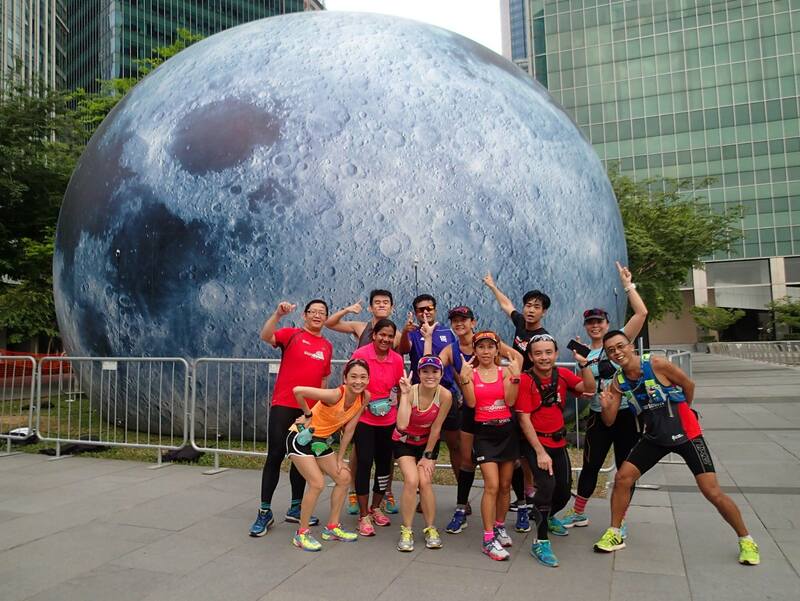 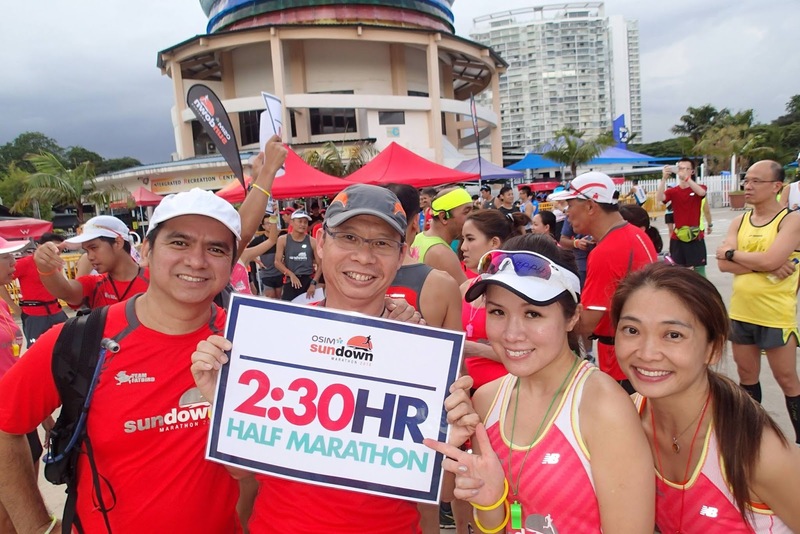 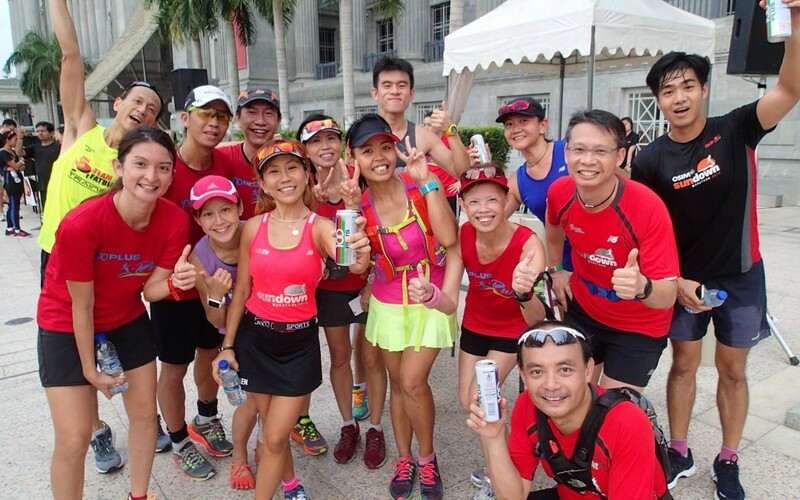 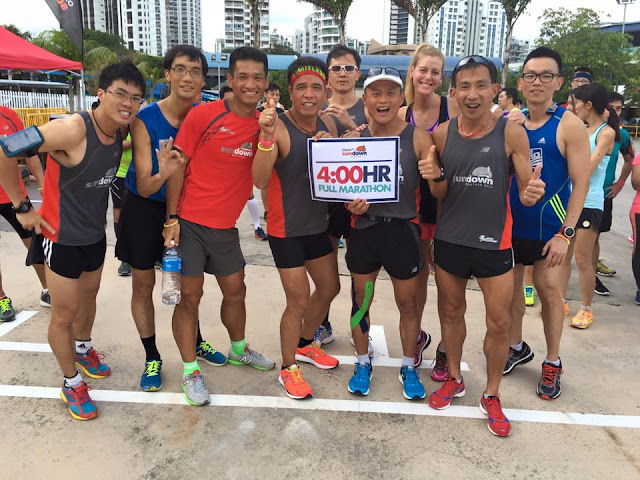 Runners who are preparing for Sundown Marathon and Phuket Marathon are welcome to join our 12-week structured marathon training to give yourselves a leg-up for a good performance on race day. 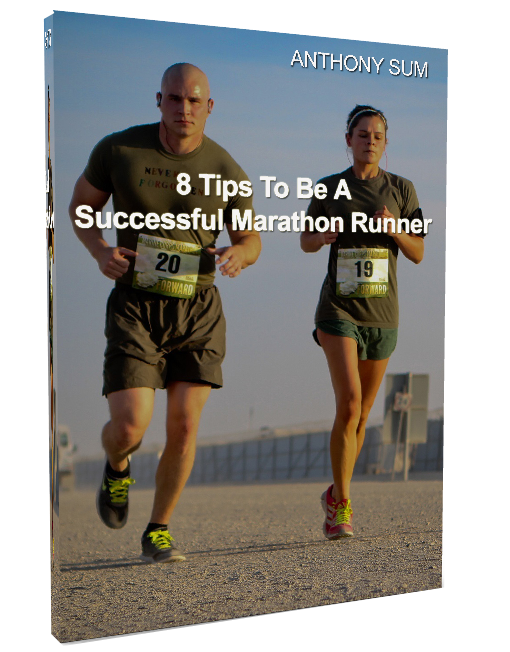 Information and Registration can be found at www.OpsNightHawk.com.